When it comes time to find a new job, you can’t just apply to anything that tickles your fancy; you need to find options that match your current skill set. But how do you manage a search with that in mind? By using the right methods. Depending on where you are in your career and what you’re hoping to do in your next position, this process may be fairly intuitive. However, if you are looking to head off in a slightly different direction, you might not know exactly where to begin. To help you manage the process, here are some tips to help you locate a job that matches your skill set. The first step you need to take is to analyze what you have to offer. Often, the easiest way to do this is to list your core skills on paper. Include anything you feel confident in using on a daily basis, and don’t forget to record soft skills as well as hard skills during your evaluation. This exercise is designed to help you understand what your current skill set includes. If you need help, review your latest job description or resume for guidance. If you’ve recently completed additional education or training, reference those details to fill out your list. The length of the list isn’t particularly important. You just want to be honest about what you know, so you can match it to job openings. Now that you have a list of core competencies, you can begin searching using keywords selected from the included skills. Start with those you enjoy most and hope to use in your next job. As you begin sorting through the results, review the other skills the employers require and see if it is a match. If a competency can go by multiple names or be referenced as an acronym, don’t be afraid to run the search using the variations. You also don’t have to limit your search to one skill. Focus on your top few preferred capabilities and see what shows up in the results. By taking a skills-based approach instead of focusing on job titles, you may find more options than you would otherwise. In many cases, titles vary from one business to the next, so focusing on those designations may lead you to miss out on opportunities. Skill-oriented keywords are fairly universal, so you might find something interesting by concentrating on those details instead. One of the simplest methods to see how your skills translate into new opportunities is to work with a skilled recruiter. Often, they have an idea of where a particular skill set can fit within organizations and may be able to connect you to opportunities you’d otherwise miss. Typically, they can help you assess your core competencies as well, helping you identify what you bring to the table. 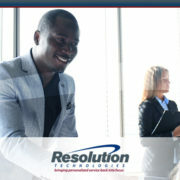 If you are interested in working with a talented recruiter during your search, the team at Resolution Technologies can help you find the right match for your skill set. 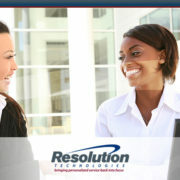 Contact us today to see how working with a professional recruitment firm can help you reach your goals. 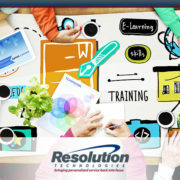 https://www.resolution-tech.com/wp-content/uploads/2017/07/Resolution_July_How-Do-You-Find-A-Job-That-Matches-Your-Skill-Set.jpg 450 900 Resolution Technologies https://www.resolution-tech.com/wp-content/uploads/2014/04/logo.png Resolution Technologies2017-07-30 09:54:372017-07-10 10:00:00How Do You Find a Job That Matches Your Skill Set? It’s no secret that companies are struggling to find the tech pros they need to fill all of their vacant positions. Currently, the national unemployment rate among IT professionals reached 2.5 percent during the first quarter of 2017, showing exactly how few qualified individuals are actually seeking new employment opportunities. The truth is there are talented people out there; they’re just working at other jobs. And those who are currently looking for new opportunities might not have the skills or experience you are looking for, leaving you short on qualified applicants. However, it’s also possible the right candidates simply aren’t finding your job openings or that the information provided isn’t connecting in the right way. If your recruitment methods aren’t getting the information out to the right people, then the number of available candidates is irrelevant. To help you locate the right professionals for your job opening, here are some tips for managing the process in this highly competitive market. If your job posting looks like a laundry list of requirements, then it’s possible candidates are screening themselves out of contention because they don’t possess every skill listed as a must-have. Instead of including everything you hope a person may have, scale the skills requirements down to only high priority competencies. This makes it easier to connect with job seekers who have those core skills and limits the chance of a person removing themselves from being a potential candidate because they think they aren’t qualified. Keep your vacancy announcement concise by including only what you absolutely must find as this increases your chance of getting high-quality applicants that can fill skill gaps and perform key tasks. In most cases, talented candidates will bring additional skills with them, checking off many of the other boxes you would like to see anyway. It wasn’t long ago when you could just post an opening on the company website and get all of the applicants you need. However, this approach isn’t as effective in an economy where IT professionals aren’t struggling to find opportunities. Even using large national job boards might not connect you with the right potential employees, as they aren’t as popular as they once were among job seekers. Now, you need to cast a wider net if you want to reach top talent. This means using tools like social media to get the word out about openings, posting on industry specific job boards, and working with professional staffing firms to get access to the right job seekers. The wider you cast your net, the more likely you’ll find the ideal candidate for your job. 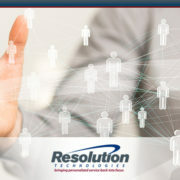 If you’re seeking top talent, the team at Resolution Technologies can help you connect with job seekers throughout the area. Contact us to discuss your specific job today and see how our services can work for you. 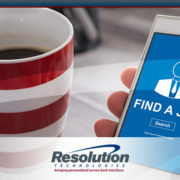 https://www.resolution-tech.com/wp-content/uploads/2017/07/Resolution_July_-Have-a-Specific-Job-Available-Where-are-all-the-Candidates.jpg 450 900 Resolution Technologies https://www.resolution-tech.com/wp-content/uploads/2014/04/logo.png Resolution Technologies2017-07-18 09:44:482017-07-10 09:49:28Have a Specific Job Available? Where Are All of the Candidates? Finding the best candidate for your tech position involves more than just the programming languages they know, the systems they have encountered and the software with which they are familiar. It includes their ability to use various soft skills in the workplace to promote team-oriented objectives and manage their duties. But identifying the soft skills to prioritize isn’t always obvious. 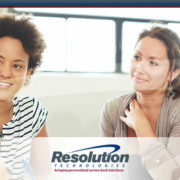 Here are some of the most useful IT soft skills to pursue. Few fields change and evolve like IT. Emerging technologies shake up the workplace on a regular basis, and best practices evolve as new products and services hit the market. This means you need to select tech candidates who can roll with the changes instead of fighting against them, and that requires adaptability. Often, IT professionals who possess the right amount of agility to meet these changing needs are open to learning and thrive on new challenges. Being able to work as part of a team is a common requirement for IT employees. This requires a combination of communication and teamwork skills designed to help the group move forward towards a common goal. If a candidate doesn’t have experience working with individuals from multiple teams to complete projects, their skills may be less developed than other professionals. Look for applicants who can provide examples of projects where several specialties had to work together to reach a successful outcome, and you may have a candidate with the collaboration skills you need. A tech pros skills are irrelevant if they can’t be counted on to complete their work in a timely manner and be present when they are needed. Employees need to manage their time in a way that allows them to meet their commitments, including everything from arriving to work on time to providing their deliverables by agreed upon due dates. 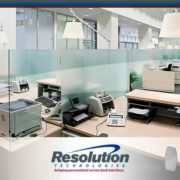 One of the easiest methods to gather this information is through thorough reference checks. You can also ask questions regarding attendance and timeliness, times when the candidate had to struggle to meet a deadline or instances where they feel behind and how they recovered. Employees who are excited about what they do will typically outperform those who are less interested in the work. Additionally, they may be more open to learning new skills to meet challenges and have increased interest in exploring new possibilities and technologies within their field. Passionate workers often have a strong drive to succeed and persevere, making them valuable assets during challenging times. 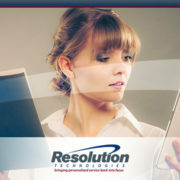 Find Top IT talent with Resolution today! 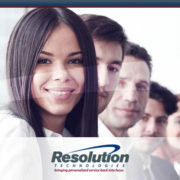 If you would like to know more about soft skills or are looking for a great IT candidate to fill a vacancy, the recruitment professionals at Resolution Technologies can help you get what you need. 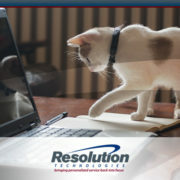 Contact us to discuss your IT needs today.